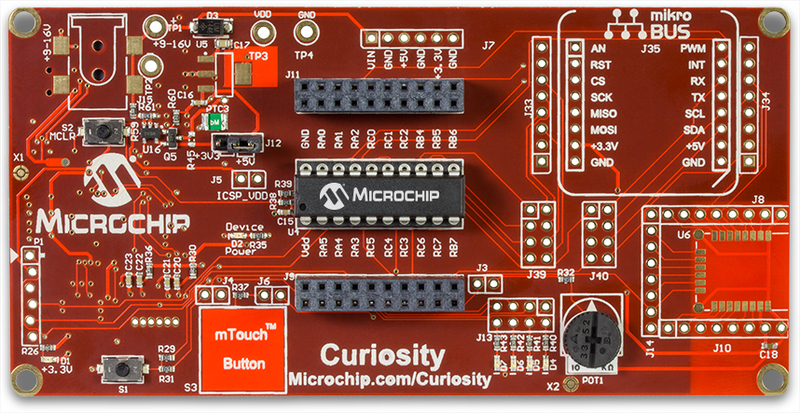 The series of videos below show you how to use the Curiosity Development Board. This video introduces MPLAB® X IDE and the MPLAB® Code Configurator for Microchip 8-bit MCU devices. In this video we walk you through downloading the software that will be used in the Microchip Minutes video series including MPLAB X IDE, the MPLAB® XC8 compiler the MPLAB Code Configurator. In this video we set up a basic project in MPLAB X IDE. In this video, the MPLAB Code Configurator is used to quickly create the helloWorld program that simply lights an LED connected to one of the pins of an 8-bit PIC® microcontroller. Learn how easy it is to start building embedded applications with these low cost but powerful devices. In this video, the MPLAB Code Configurator is used to quickly create a project that blinks an LED connected to one of the pins of an 8-bit PIC microcontroller. Learn how easy it is to start building embedded applications with these low-cost but powerful devices.